Follow the Road to a Good Cause! 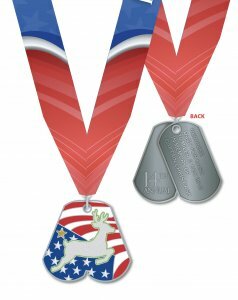 Join us for the 14th annual Reindeer Dash for Cash 10 Miler & 5k run. 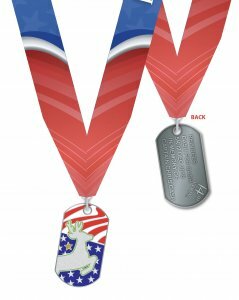 Our patriotic, Christmas-themed run offers a custom designed finisher medal (even for our 5K!) keeping in theme with our purpose. Our uniquely designed t-shirt is one you will not want to miss. But, just in case you do not want a shirt, we have decreased our fee and are giving you the option to purchase our shirt. It’s a win-win. 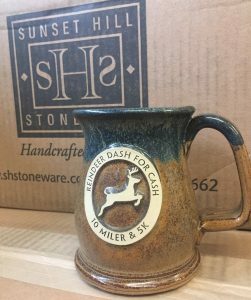 Top three, in each age group, will take home a custom made pottery mug by Sunset Hill Stoneware. You will want to stay around for the awards ceremony for this! Comes in your choice of three colors. Our 10 mile course runs along the beautiful greenway and through the campus of East Carolina University. Our volunteers are the best around and help bring that patriotic Christmas feel that you will love. 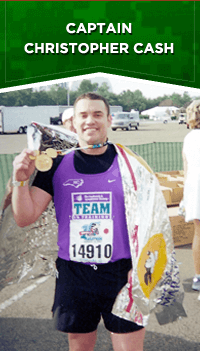 The Reindeer Dash for Cash is a fundraising event to benefit the Captain Christopher Cash Memorial Foundation of NC, Inc. All proceeds are awarded as college scholarships at East Carolina University, ECU Army ROTC, ECU Air Force ROTC, NCNG Association Educational Foundation, and NC Wesleyan College. Each year, the foundation offers deserving students the financial assistance needed to pursue a higher education and the accompanying rewards of learning and character development achieved through hard work and dedication of earning a professional degree. This event is directed by a RRCA Certified Race Director.